sizing, metal rods, copper wire. A wearable sculpture using the body and clothing as site to visualize and extend into space the motion of unconfined breathing. This work references the history of bodily confinement in women's clothing designed to corset the body. The dress is altered to free the motion of breathing and extend this motion into the space around the body using fine metal rods that trace the wearers physical anatomy. Subtle sounds are generated by copper wires as the metal rods move in response to the breath. 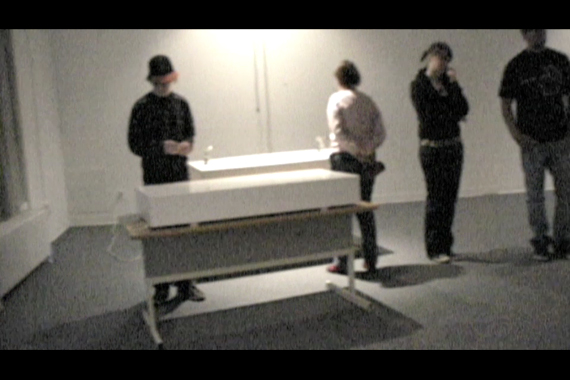 October 2012. microphones, custom Pure Data program, speakers, aquarium, black gum-balls, video recorder, screens, projectors. In the performance Symbiose, the architecture of the space is activated by live sounds processed in real-time and performed images. Vibrations captured from the space and from the city surroundings are made audible and mixed live into an ambient soundscape. 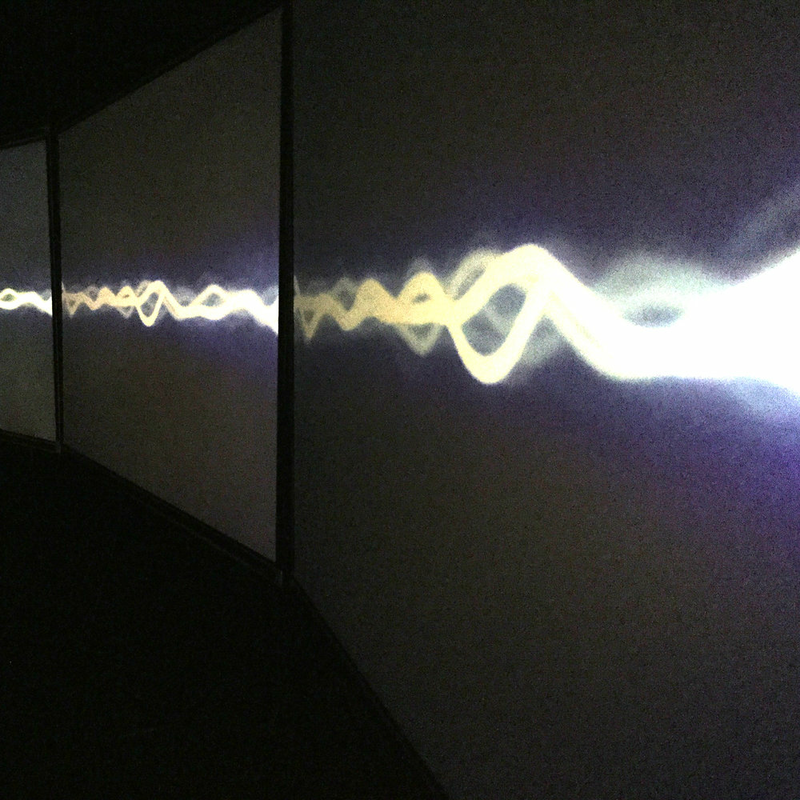 These sounds are joined by multiple projections echoing through the space in a performance that marks the passage of time. ROOM 205 is a collaborative sound performance that explores environmental sounds located or generated within the space and extends the soundscape to include sounds from beyond the architecture of the space. Multiple sound files and custom Pure Data modules, programmed by collaborator Roman Haefeli, formed an interface that Roman and I were able to activate through the duration of the performance. In this way, the perception and expectation of sound within the space was transformed through association, movement, recontextualization, and displacement. We worked both from a script of planned sequences and in direct response to the position, movement and reaction of participants who were surrounded by a speaker array embedded in objects throughout the space.